Mulberries are delicious berries akin to blackberries, which can be used in much the same way. 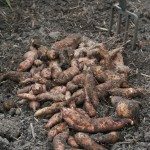 Generally speaking, you will rarely find these delicacies at the local farmers market let alone the supermarket, as they have a short shelf life. 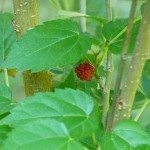 The best way to ensure a good supply is by planting your own mulberry tree, but keep in mind these heavy bearers are prone to heavy mulberry fruit drop and can create quite a mess. Unlike other fruit bearers, mulberry trees begin bearing at an early age and quite heavily at that. Soon enough, you will have entire buckets of berries, far more than the average family can eat. Not too worry. Fruit drop in mulberry trees is very common, hence the mention of a mess. Birds will get to them but probably not before they stain the drive or sidewalk or even the soles of your shoes to be tracked indoors. Like all fruit trees, premature fruit drop of mulberries may occur. 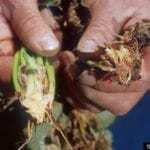 This is generally due to several factors: weather, inadequate pollination, pests or disease, and overbearing. As mentioned, ripe fruit drop in mulberry tree cultivation goes with the territory. This is the nature of this particular berry tree. You can either just “go with it” or enjoy the plethora of fruit loving birds the tree attracts, or you can lay a tarp beneath the tree during mulberry fruit drop season, which will make a tidy and rapid method for harvest. 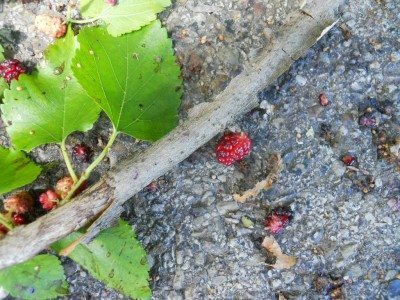 Going in forewarned, for those who have not yet planted a mulberry, choose a site that does not hang over your driveway or sidewalk because fruit drop in mulberry trees is a guarantee, not a possibility. – Of course, you can always choose to grow a fruitless mulberry tree too, or consider sterilization of the fruit tree. For any fruiting tree, the number one reason for premature fruit drop is weather. Given that you can’t control the weather, you can take steps to protect the tree if inclement frost is forecast during the growing season. Cover the tree with sheets, burlap or the like, or string holiday lights around the tree to keep it warm. Wind can also take its toll and result in premature fruit drop. Be sure to stake young trees to prevent damage. 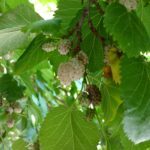 Companion planting can boost pollination around your mulberry and lessen the chances that inadequate pollination results in premature fruit drop. Also, avoid using pest control sprays that may affect the pollinators during bloom times. 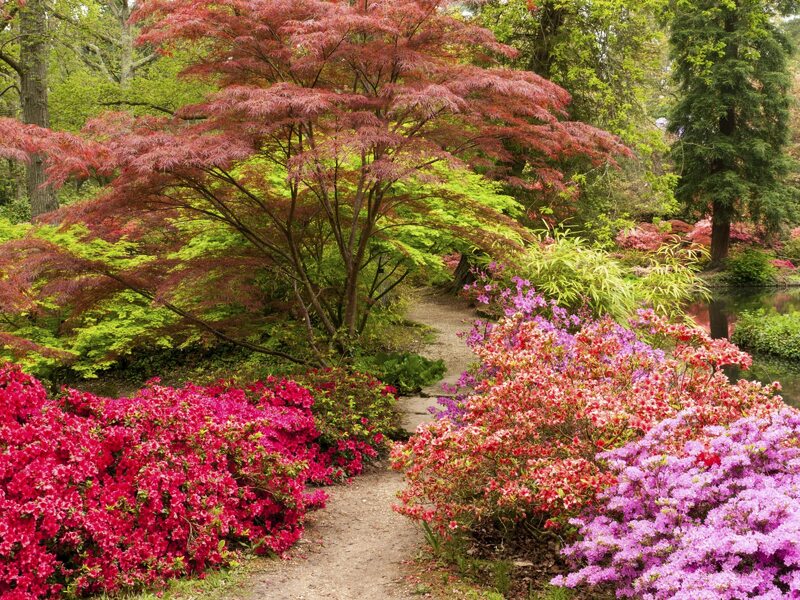 Pests and diseases can be combated with a pesticide or fungicide if the infestation is serious. Keep in mind that the use of pesticides during blossoming may exacerbate premature fruit drop by killing bees and other beneficial insects. Lastly, premature fruit drop is often the result of overbearing, which is most common in young trees that have less stored nutrition than mature trees. If the tree is in competition between saving itself and fruiting, sending nutrients to produce berries or survive itself, obviously the tree wins. Sometimes trees prematurely drop fruit due to the sheer weight of it on their branches. It is of paramount importance to thin the young fruit before the tree drops it. Use small pruner and leave 4-6 inches between fruit clusters. You can also pinch off blossoms before the petals drop. Follow all the above and barring unforeseen circumstances you should be enjoying an antioxidant, protein packed smoothie for, well, the rest of the year given the proliferation of berries you’re bound to harvest!